German digital-security company Avira may not be as well-known in the U.S. as some of its competition, but its Avira Free Antivirus 2014 gives you a lot for nothing. The software has perfect malware-detection scores, a relatively stripped-down (though sometimes intimidating) interface and a good range of other free tools. It’s our top choice for free PC antivirus solutions. Downloading and running Avira Free Antivirus was simple. The free version is featured prominently on Avira.com, and downloading and installing it is as simple as any other online program. You don’t even need to create an Avira account. Unlike AVG and, to a lesser extent, Avast, Avira applies little to no pressure to upgrade from the free to the paid version. Once it’s installed, Avira Free Antivirus shows up in either a regular application interface, or a sort of mini-interface that appears as a popup from the gadget menu in bottom right of the Windows desktop toolbar. The popup will display all active Avira products, which can be launched by clicking on the product’s name, and an icon notifying users whether their PCs are currently protected. The main Avira Free Antivirus interface feels stripped-down, and it sure doesn’t help you out with figuring out where you need to go, but it does put everything you need right on its main screen. A persistent left-hand navigation column lists its features. To configure what needs to be scanned, click “System Scanner” under “PC Protection” in the left-hand navigation column; it will display a list of all Avira’s scan options, including “Quick system scan,” “Complete system scan,” a manual selection that lets you choose which files or directories to scan, and a Rootkit and active-malware scan. To schedule a scan, you’ll have to go down to the “Administration” section of the menu and click “Scheduler.” A quick scan every 168 hours (one week) is enabled by default. Overall Avira’s interface feels Spartan and unintuitive to those who don’t know what to look for. There’s no easy “Scan Now” button, and sometimes you’ll have to go hunting for the actions you want to take. However, for all that we did grow to like Avira’s minimalism. The interface may not be easy, but it certainly isn’t difficult either, and everything is well-organized. The program also has an unobtrusive alert system, so you’re not constantly barraged with pop-up warnings. Avira Free Antivirus’ features are divided into five main categories: PC Protection, Internet Protection, Child Protection, Mobile Protection and Administration. PC Protection concerns Avira’s antivirus scanner. You can choose to initiate a complete scan or a quick scan, or specific regions: local drives, local hard drives, removable drives, Windows system directory, My Documents, active processes, or a scan for rootkits and active malware. On top of that you can also make a more specific manual selection of where to scan. If Avira finds malware or PUPs (potentially unwanted programs) on your computer, it will put them into “Quarantine,” a secure space on your computer where the programs can’t do any damage. You can then choose to restore any of these quarantined programs if you feel Avira has wrongly flagged them, or permanently delete them from your computer. Avira Free Antivirus updates its virus definitions every six hours, as opposed to every two hours for the paid version, Avira Internet Security (which costs $44.99). Otherwise, Avira representatives assured us that the free and paid versions offer the same antimalware protection. Below “System Scanner” in the navigation column is an item called “Real-Time Protection,” which gives you a quick overview of Avira Free Antivirus’ performance on your computer, including number of files scanned and most recent malware detected. The Internet Protection section contains a tool called “FireWall,” but it isn’t a firewall in and of itself; rather, the tool just checks to see if your Windows Firewall is active and has the best possible settings enabled. Two other tools, called Web Protection and Mail Protection, are listed under the Internet Protection section, but they are part of Avira’s paid antivirus service and are grayed out for free users. Avast and AVG, by contrast, give you Web protection and mail protection with their free antivirus products. However, Avira does have a free browser plugin available from its website or the Chrome web store that flags malware-infected Web pages, and also blocks most kinds of Web trackers so that online companies can’t track your shopping or other online behavior. If you have the Avira Antivirus Security app for Android or iOS, the Mobile Protection section of the desktop software serves as a hub for managing those devices. Again, to use this feature, you’ll need to create an Avira account, but Avira Antivirus Security for Android is free. Finally, the Administration section contains Quarantine, which shows a list of programs that Avira has put into quarantine, or isolated from the rest of the system. Quarantining dubious programs is a safe middle ground between deleting a program and letting it remain unchecked on your computer. Other tools in this section are Scheduler for scheduling malware scans; Reports, which lists all previous scans and updates and their results; and Events, which lists the activity of all your Avira products. Avira Free’s Child Protection feature offers a tool called SocialShield (listed as Social Networks in the main menu) that lets you monitor your child’s Facebook, Twitter and Google Plus accounts. You’ll have to create an Avira account, then enter your child’s social-media account-login information. The program generates a comprehensive report of your child’s Facebook activity. Avira Free Antivirus’ paid cousin, the mid-range Avira Internet Security ($67/year for one installation), offers among the best malware detection among all security suites, according to respected German independent lab AV-TEST. The lab does not test Avira Free Antivirus directly, although Avira told us that it uses the same malware-detection system as Avira Internet Security. In AV-TEST’s most recent examinations in April 2014, Avira Internet Security running on Windows 8.1 detected 100 percent of the newest zero-day malware, including Web and email-based threats, and 100 percent of widespread general-use malware as well. That’s significantly above the industry averages of 94 percent and 98 percent, respectively, among both free and paid antivirus software. AV-TEST does test some rival free antivirus products, none of which boasted perfect scores. AVG Antivirus Free came closest to perfect, detecting 96 percent of zero-day malware and 99 percent of widespread malware while running in Windows 8.1. Avast Free Antivirus detected 94 percent of zero-day malware and 99 percent of widespread malware, and Windows Defender trailed far behind with 68 percent of zero-day malware and 79 percent of widespread malware. Malwarebytes says AV-TEST doesn’t test its Anti-Malware product because the software focuses solely on rare zero-day malware and therefore AV-TEST does not test it. Ideally, antivirus software shouldn’t slow down your PC as it scans for malware. Realistically, that’s rarely the case. We tested the performance impact of Avira Free Antivirus on our Acer Aspire E1 laptop using PCMark7 software. Before installing Avira Free Antivirus, the laptop had scored a good 2,105. While running Avira Free Antivirus’ Quick scan feature, that score dropped to 1,877, making it the second-worst quick scan in terms of system performance impact after Avast Free Antivirus. While running a full scan, our test laptop’s score dropped even further, to 1,588. This makes Avira the most resource-hungry free antivirus product that we tested. We also ran our custom OpenOffice performance text, which matches 20,000 names and addresses. As a baseline, our laptop completed this task in 4 minutes flat before installing Avira Free Antivirus. While Avira was running its quick scan, the task completed in 8 minutes and 33 seconds, again placing Avira second-last in system performance impact, ahead of Avast. When we ran Avira’s full scan, the OpenOffice test completed in 22 minutes and 2 seconds, making Avira the most processor-hogging free antivirus product we tested. 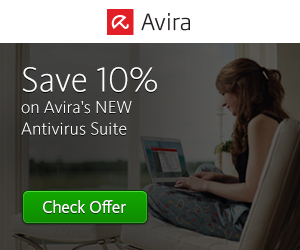 Assuming that Avira’s malware scanner is the same across all its antivirus products, then Avira Free Antivirus’ antivirus protection would incontestably be better than those of Avast Free Antivirus, AVG Antivirus Free and Microsoft Windows Defender, and equal to the top tier of paid antivirus products currently on the market. Add to that Avira’s good range of free features and its unintrusive alert system, and Avira will make any average PC user feel safe on the Web. The only downsides are Avira’s relatively higher performance impact while doing a malware scan, which may be noticeable on lower-end hardware, and Avira’s stripped-down interface. Overall, though, when it comes to free PC antimalware products, we recommend Avira over the competition.